Everything Comes Out Better at the Glen Burnie Car Wash! Featuring Express Tunnel, Touch-Free Automatic Washes, Self-Serve Dog Wash and Self-Serve Wash Bays. At the Glen Burnie Car Wash, we pride ourselves in providing a great car wash experience. Our family-operated facilities are customer-friendly, clean and modern. Our two convenient locations in the Glen Burnie area give you access to state-of-the-art car washing technology using the highest quality solutions and equipment to produce a clean car. We run our business honestly and consistently—taking proper care of you and your vehicles to ensure the best possible car wash experience. 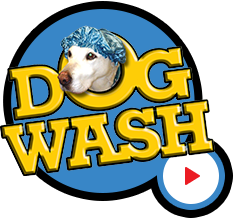 Our self-serve dog wash lets you make grooming a family event. View our amenities and pricing.